The title of the third Paris Triennale is intended to evoke the cultural antagonisms of a world that its artistic director Okwui Enwezor declares to be “traumatized by the collapse of distance.” This is standard-issue catalogue-essay rhetoric, but ‘Intense Proximity’ is also a curatorial schema that brings works from near and far, from the past and today, up against one another — an organizing principle that emphasizes tensions rather than any happy smoothing out of difference c/o globalization. La Triennale’s ambition resides in Enwezor’s elaboration of what he calls a “layered interaction” between art and ethnography. The prolific Haus der Kunst director’s point of departure is the seminal work of French anthropologists of the first half of the twentieth century: photographs by Marcel Griaule and films by Jean Rouch, among other ethnographers, mingle with and sometimes antagonize the art on display. Juxtapositions are harsh, fractures insisted upon. The first two editions of the Paris Triennale were more or less forgettable. Anachronistically nationalist affairs, their stated ambition was to promote work produced in France or by French artists. As you’ll guess from the title (La force de l’art) and venue (the Grand Palais) of these shows, subtlety wasn’t their MO. With a taste for the large-scale and the mostly male, the second edition sparked an artist-penned petition titled “La faiblesse de l’art,” later published in Le Monde, decrying the sorry fact that only seven of the forty-two participating artists were women. Abandoning the parochial boosterism of his predecessors, Enwezor’s Triennale is an international show that hopes to pick at “the contradictions inherent in the idea of a national exhibition.” Claude Lévi-Strauss, whose photographs and drawings are included in 'Intense Proximity,’ once called anthropology “the handmaiden of colonialism,” and the curator here is of course also invoking the ghosts of French imperialism. Whether considered according to geography or gender, media or age, La Triennale is as balanced a large-scale exhibition as I’ve seen; Documenta and Venice aside, it’s also one of the biggest. 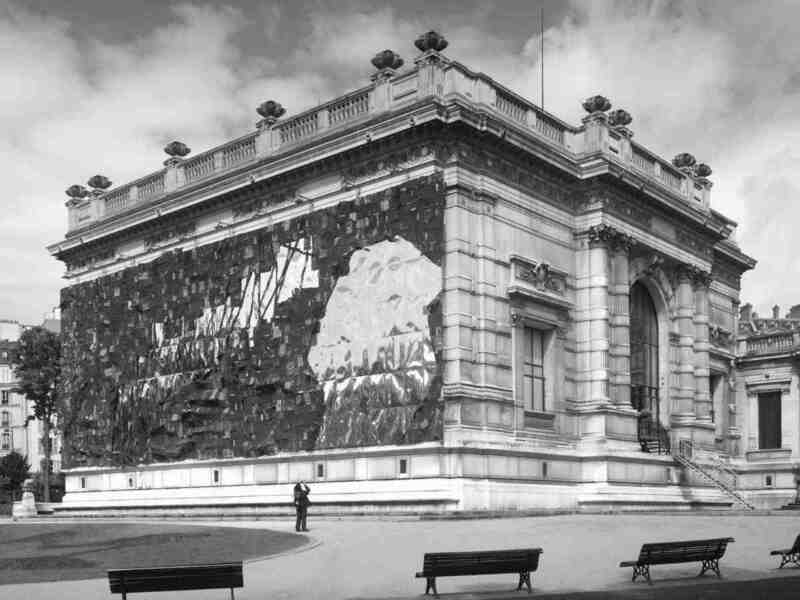 The main venue has switched from the Grand Palais to the newly renovated Palais de Tokyo, where well over one hundred artists are included in what is the expanded institution’s inaugural exhibition. While the press material suggests that it’s now one of the largest contemporary art spaces in Europe, this is coy. I’m struggling to think of anywhere, in Europe or beyond, that is similar in size: the refurbishment, which opens up two previously closed floors, roughly triples the exhibition space. Furthermore, away from the Palais de Tokyo, La Triennale also comprises some smartly conceived collaborations with a number of vibrant nonprofits around Paris, including Le Crédac, Les Laboratoires d’Aubervilliers, and Bétonsalon (one stand-out is the latter’s botanical history of colonialism, Tropicomania: The Social Life of Plants). 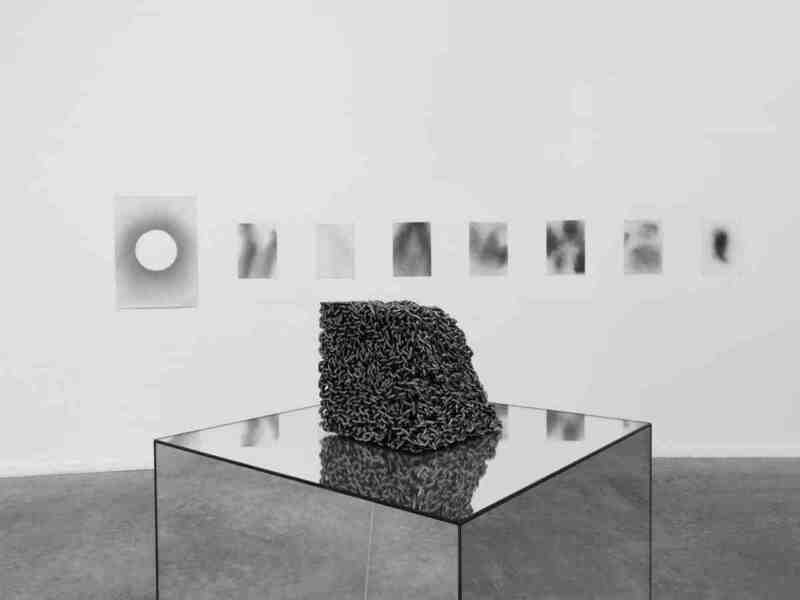 Initially true to its promise of conflict-as-curatorial-strategy, the early stages of 'Intense Proximity’ are closely hung, proceeding via a series of jarring pairings. A bombastic gallery of Sarkis’ works about the bloodied spoils of war is quietly interrupted by Geta Brătescu’s delicate works on paper; a gallery of Wifredo Lam drawings from the 1940s is unexpectedly punctuated by some narrative-laden readymades from Jason Dodge. But these sometimes curious, sometimes perverse couplings are pretty much abandoned over the course of the lower gallery. The middle floor, where most of the younger artists are corralled, and the anthropological work forgotten, is — aside from interesting pieces by artists including Walid Sadek, Karthik Pandian, and Lili Reynaud-Dewar — dull and scrappy. In fact, it feels only glancingly connected to the broader thesis of Triennale. The bottom floor, where many of the films are shown, has plenty of strong works — by Clemens von Wedemeyer, Hassan Khan, Ziad Antar, and Jochen Lempert, among others — but proves a challenging space: crumbling concrete, undulating floors. At the same time, the inclusion of around fifteen French artists often seems dutiful rather than necessary: a new installation by Annette Messager is comically out of place, while the selection of her younger compatriots feels only grudging. And while many biennial habits are avoided, there are the apparently prerequisite inclusions: Dan Perjovschi, Rirkrit Tiravanija, Thomas Hirschhorn, Alfredo Jaar — all are in attendance. I’m trying to think of a biennial of recent years that didn’t feature at least one of them. 'Intense Proximity’ revisits the troubled fascination between what Enwezor calls “ethnographic poetics” and modern and contemporary art practices. The two most notorious instances of this vexed encounter are of course MoMA’s “Primitivism” in 20th-Century Art: Affinity of the Tribal and the Modern (1984) and Jean-Hubert Martin’s Magiciens de la terre at the Centre Pompidou (1989). Of the former, Thomas McEvilley’s scabrous review-essay, published in Artforum, concluded that “the Museum pretends to confront the Third World while really co-opting it and using it to consolidate Western notions of quality and feelings of superiority.” Perhaps the ensuing controversies meant that this contested terrain remained little explored, even as those two surveys cleared space for shows with their own pointed relationships to “the international,” like Catherine David’s Documenta 10 (1997) and Enwezor’s own Documenta 12 (2002). In recent years, though, there has been a second wave of critical reassessment of “Primitivism” and Magiciens de la terre (a book on the latter is forthcoming from Afterall), not to mention a renewed engagement with questions of ethnographic poetics and “The Artist as Ethnographer” (the title of Hal Foster’s much-anthologized 1996 essay). For example, Anselm Franke’s 2009 essay “Across the Rationalist Veil,” published in e-flux, considered the “fieldwork” of practicing artists in tandem with the writing of Michael Taussig and Bruno Latour, an enquiry that Franke has since developed into an impressive touring exhibition, Animism (2011–12). Also running concurrently with La Triennale is Les maîtres du désordre at the Musée du Quai Branly (the museum of indigenous art that lies just across the Seine from the Palais de Tokyo), which traces chaos and shamanism from tribal masks to contemporary art. Everyone’s an anthropologist these days. Enwezor’s catalog essay treads notably similar ground to that of Franke’s essay, though he also flirts with the possibility of aligning contemporary curatorial (rather than artistic) practice with anthropology. He wonders: “Is the curator a co-traveller with the ethnographer in the same procedures of contact and exploration?” Well, not exactly. Flying in for studio visits is hardly the same as trekking from Djibouti to Dakar (as Michel Leiris and Marcel Griaule, both included in La Triennale, did in the 1930s). Enwezor knows this of course, though his question stops short of explicitly criticizing the contemporary curator’s potential entanglement in a quasi-colonial web of exploration, showing, and telling. Like any good anthropologist, he acknowledges the structural asymmetries of his endeavor only to forge right ahead. And the risks of what Enwezor is suggesting are clear: reading anthropological fieldwork as art could mean taking its social facts as speculative forms, and vice versa. While it may be the case that artistic practice has in recent decades aspired to the condition of fieldwork (Lothar Baumgarten’s paradigmatic Fragmento Brasil, 1997–2005, is included here), and that anthropologists are susceptible to what Foster diagnosed as “art envy,” the practical implications of Enwezor’s blurring of the lines between different fields is sometimes ill-considered. The most awkward example of this comes early on at the Palais de Tokyo, when Tim Asch’s renowned 1975 film of an axe fight in a Yanomami village is installed next to a mirror-plinthed Monica Bonvicini sculpture and a beautiful selection of Ivan Kožarić’s work from the 1970s. The Ax Fight comprises a series of Rashomon-style retellings, whereby the unedited footage is followed by a structural-functionalist analysis followed by a slickly edited final cut (as Asch himself has noted, his deconstructive approach was “a harbinger of postmodernism”). It would be useful to know that Asch’s footage was shot in 1971 (it was specifically produced as a teaching aid for undergrads in New York), the year of the Croatian Spring in Kožarić’s hometown of Zagreb, but the wall labels give zero contextual information. It is difficult to understand how this can be claimed as a “layered interaction” — provocative, perhaps, though only in so much that a violence was done to the assembled artworks. When I visited in May, general reactions to Asch’s film were so visceral that few viewers noticed any of the surrounding art works, and the way in which Enwezor articulates ‘Intense Proximity’ as a curatorial schema often obviates actual critical distance. Whether the Palais remains true to an ethnographic lineage while trying to disown it is certainly a question for debate. But regardless, many questions are left hanging here, not least: What are the differences between the nomadic anthropologist and the curator or artist that are worth retaining? And what would a committed critique of the contemporary-curator-as-colonial-era-ethnographer entail? Enwezor only flirts with the idea. Susan Sontag, in her 1963 essay on Lévi-Strauss, “The Anthropologist as Hero,” describes a figure who “acts out a heroic, diligent and complex modern pessimism.” In its pessimism, 'Intense Proximity’ can feel unusually — even complexly — heroic, but it lacks the tempering trait of diligence.